Jessica Alba on a Paris Vélib' bicycle. 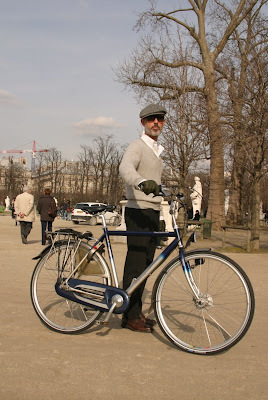 Read about bicycle culture in Paris here. Zoey Deschanel. So very Copenhagen. Except for the vacant, surprised look. Not a celebrity, but a smashing outfit from the charming Style From Tokyo streetstyle blog. 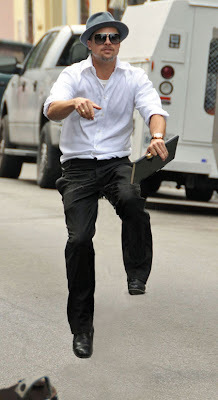 Brad Pitt on an invisible bicycle. Good fun from the HolyTaco.com site featuring ap piece on celebrities on invisible bicycles. "Except for the vacant, surprised look." Ha ha ha.